Can you feel it? Whether it’s a romantic kind of love or the parental kind, love is in the air! Even in my fictional world from my new release To Gain a Valentine. 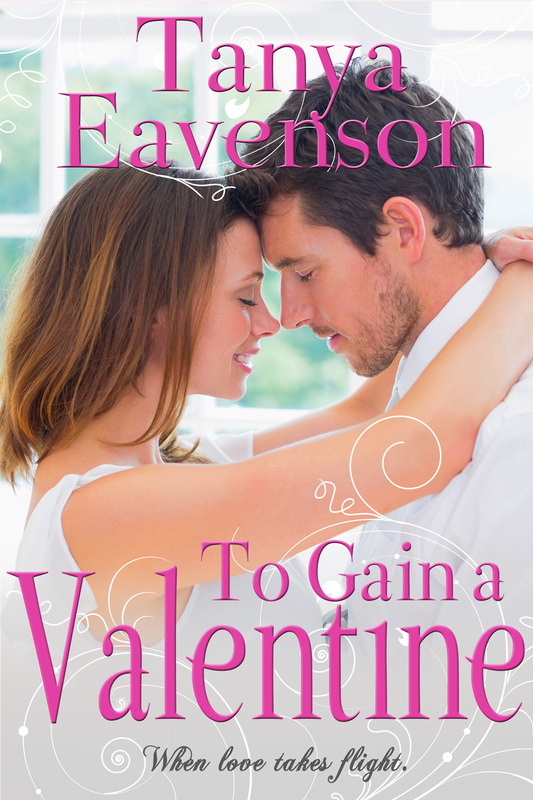 Last week, I released my second novella in the Gaining Love series entitled To Gain a Valentine. I had so much fun writing this story because I could relate to the hero, Patrick Reynolds, who works wonders with sick children as a pediatrician, yet when it comes to pets, he’s clueless. That is so me! Several years ago we moved from the pastorium to the home we bought seven minutes away. Carrying all our possessions, including our cat, Woody, (he was named after Woody from Toy Story) I placed him in the garage. Little did I realize, I left the back door open. Can you imagine my horror when I was the one who allowed my daughter’s cat, her best friend, to escape and wander around lost in a neighborhood during a rain storm? Yes, a storm! It was raining cats and dogs, pun intended. I could hardly see three feet in front of my face. I felt just awful! The way my eight-year-old cried, those tears, the words “he’s going to die out there!” just about killed me on the spot. So me, who uses an umbrella at the first sign of rain or mist in the air, I charge out into the pelting rain in hopes of finding a cat and mending broken hearts—hers and mine. “Soaked through” wouldn’t even begin to describe my clothes, which clung to me seconds after stepping outside. Already exhausted from the move, I dragged myself through the process of combing the neighborhood. But there, at last, was Woody, waiting under a stranger’s patio, sheltered from the storm. I still remember whispering a prayer of thanksgiving as I trespassed on this person’s yard with all intent to steal my own cat. But as I neared, he ran. And I chased. Then, I lost him. What was I going to do now? How was I going to tell my daughter that not once but twice in one day I had lost her most beloved cat? Heading back toward the house, I hung my sopping head and said another prayer that Woody would return, and soon. Sloshing up the front steps, I heard my husband’s voice from the garage. It was better to tell him first, so I went to him. There, sitting in a folding chair next to our dresser, sat my daughter with a wide smile on her face, holding Woody against her chest. Happy tears filled my eyes, but in the next breath I realized seeing him in her arms, dry, I’d been running down the streets of our new neighborhood like a crazy person, chasing after another person’s cat! Needless to say, in life, you have to learn how to laugh at yourself. This was indeed one of those moments that will forever be etched in my daughter’s mind and heart, as well as my own. She saw, in action, how much I loved her. Yes, I see a lot of myself in Patrick from To Gain a Valentine, his attempts to care for animals when he has no idea what in the world he’s doing. Granted, I had one cat in my care, and he had one dog, three fish, two— Well, you’ll have to read the story, but it was also his desire to forget what was safe and love others with action and abandonment. And like my ending, Patrick’s actions will forever last in Amabelle’s heart and mind. For them, it was the day when love took flight. Pediatrician Patrick Reynolds works wonders with sick children, yet when it comes to pets, he’s clueless. But caring for his sister’s menagerie while she’s on vacation is the perfect answer to working through a broken engagement. Hoping to escape the memories, he returns to his hometown, the last place he’d expect to find love. Life as a single mom is never easy, but pet shop owner Amabelle Durand has found contentment. When an old friend returns to care for his sister’s pets, he enlists her assistance to keep the animals alive. But when Amabelle’s young daughter falls ill, she finds herself attracted to more than the handsome pediatrician’s medical skills. As Valentine’s Day approaches, will Patrick and Amabelle miss out on the love they’ve always desired? Or will their love take flight under the stars on this very special night? Tanya Eavenson is a bestselling and an award-winning inspirational romance author. She enjoys spending time with her husband and their three children. 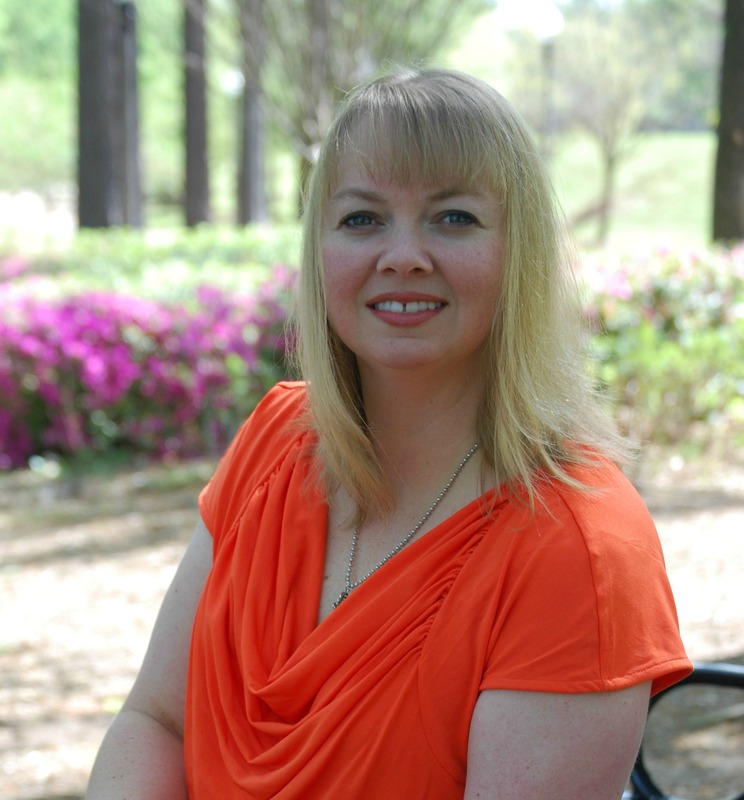 Tanya is a member of American Christian Fiction Writers and Word Weavers International. Her favorite pastime is grabbing a cup of coffee, eating chocolate, and reading a good book. You can find her at her website http://www.tanyaeavenson.com/ on Facebook, Twitter, Goodreads, Google, or on Amazon. What about you? Are you better with children or pets? Thanks for stopping by, Wemble. No pets here, only our 2 girls that keep us hopping. We do hope to add a dog at some point, but we are not there yet. This sounds like a fun read and I’ll be adding it to my wish list. It took our family a LONG time to add a pet (besides fish), too. Priorities. :) Thanks for stopping by, Joelle. Kids do keep us hopping, Joelle! If only we could bottle their energy. =) And thank you! I hope you enjoy Patrick and Amabelle’s story! Hi Ginger and Tanya! I will be checking out this delightful romance. As a mom to three sons and a grandmother, who helps care for her three children ages 11, 9, 3 and 2 weeks old. I enjoy kids. I worked with children my entire life, starting as a Sunday School teacher when I was 14 and taught school for over 30 years. As a child, I did not have many pets, but over the years we have had a canary winged bee bee parrot, a hermit crab, several dogs and cats. Presently we have a 14 year old Sheltie, named Penny, who we love; but not sure at our age will have any more pets since pets tie you down. Being retired we would like to travel. Pet stories are fun. As a family we have many interesting pet stories. Our favorite is: On summer night hearing voices our Sheltie McBeth woke us by barking and saved the church from having the its windows shot out by teens with bb guns. My husband yelled through an open window in his deep pastoral voice “this is the VOICE of GOD speaking.” This definitely shook these teens to the core. While on vacation under my dad’s care, the hermit crab escaped. My dad was upset and we looked everywhere. Two weeks later hungry and thirsty, Hermie made his appearance. Never did figure out where he had hid so long. Those are amusing stories, Renate. We had the opportunity a few weeks ago to get another pet, free, but my husband said no because he also wants to travel. Retirement is looking a long way off, but we like weekend trips and pets do tie us down. Hi Renate! Love your pets stories! I think you’ll really enjoy reading To Gain a Valentine. =) Thank you for sharing and saying hello! Thanks for introducing us to Tanya, Ginger. I’d say I’m about equal when it comes to children or pets. Of course, if the pet is a snake…I’ll have to reconsider my answer. I told my teen son that bringing a snake into the house signalled one thing only: that he was done having a mother, because she was moving out instantly. I guess even in his rebellious years he loved me (or at least liked having food and clean laundry) as a snake never showed up. Thanks for introducing Tanya. I will be checking out her books. I love introducing new authors. It helps them, and it gives readers a new author to read. Enjoy. Thank you, Colleen! Glad to be here with you! We’ve usually had a dog and a cat. Hubby is the dog person, and I am the cat lady. Right now we have a 9yo black Lab cross, Brody, and two calico cats, Moxie and Coonie. I am so done with animal hair everywhere! But apparently I am ‘not’ done. Thanks for coming today and sharing, Tanya! It’s a pleasure, Valerie! Right now we have one cat, but I have a feeling as soon as my oldest daughter leaves for college this fall, a dog will be in our near future. BTW, love your cat’s names! The pet fur is one of the downsides of having pets. It gets EVERYWHERE. We raise kids and pets. Three kids of our own,too many daycare and Sunday school kids to count. In the process we’ve raised gerbils,hamsters, baby hamsters, rabbits, anoles, hermit crabs,frogs, fish, tadpoles, turtles, birds, even the daycare childrens baby hamsters😀! We walked resolutely away from a really cute rescue bunny yesterday while getting food for our remaining rabbit. Our daughter married, but we still have the rabbit. Her apartment won’t allow him. Diana, it definitely sounds like you’re great with both children and pets! How fun! I’m sure your house was the place where all the neighborhood kids wanted to go! Wow…I thought we’d had the gamut of pets. I’ll have to look up what anoles are (a lizard, btw). We’ve had our share of cats, dogs, fish, turtles and birds over the years but now we have two grandchildren that live right across the street. One of them is allergic to dogs so we just concentrate on them now. I’ll say children, although I love dogs and wished we could have one right now. :) Dogs and children together are a fun combination. Hi, Toni! Great to see you! I know what you mean. I wish I had a dog but we’ve decided to wait a few more years. I don’t think our cat would appreciate it. =) Thanks for stopping by! It depends on the pet and it depends on the child. :) I do well with both, but I did have a dog lunge at me once as I was walking past his house. That is so true, Kimberly. I can do well with both, but I can also get annoyed with both just as easily. :) Well, mostly I get annoyed with the parent/owner because the child/dog only knows what it’s been taught. Hi Tanya! The new story sounds wonderful! And that is true mother love, chasing a cat in the rain (LOL, even if it was someone else’s cat!). We’re crazy cat people here, though hubby loves just about any animal. We’ve also had fish, a rabbit, a guinea pig, and he would love a dog, though as our yard isn’t fenced, I’ve talked him out of that one. So far! So true, Narelle. We do so much for our kids that no one even knows about. To Gain a Valentine was a joy to read. This novella was filled with laughter over Patrick’s lack of pet skills and the sweetness of Amabelle and Patrick’s story. Would love to read this book! I am retired, avid reader, no kids at home. So we just got a pup….he is loving but little too hyper for us…..dh plans to train him though!